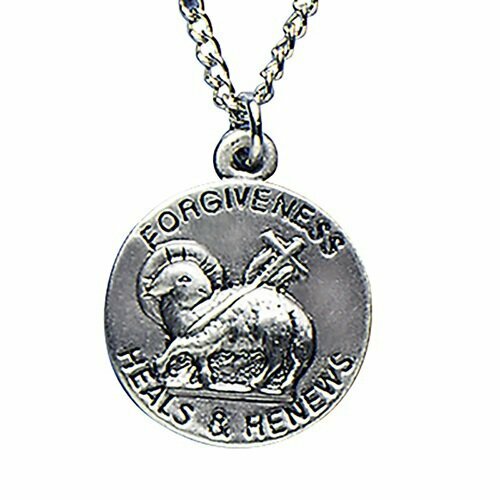 Our Forgiveness Heals & Renews Lamb Pendant makes a great gift for any boy or girl celebrating their First Reconciliation. Each pendant comes with an 18" L chain with clasp. The Sacrament of Penance & Reconciliation (commonly called Confession, Reconciliation or Penance) is one of seven sacraments of the Catholic Church in which the faithful obtain divine mercy for the sins committed against God and neighbor and are reconciled with the community of the Church. By this sacrament Christians are freed from sins committed after Baptism.